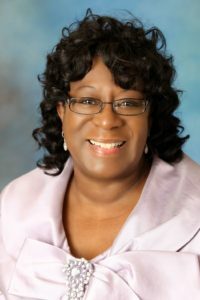 Pastoral Assistant Lady Jessie Bass, a key woman of action, is a highly effective spiritual counselor and speaker. She has a degree from Duff’s College in Pittsburgh, Pennsylvania. She also attended Robert Morris College. Her background is in fashion merchandising, interior decorating and executive administration. She is also a certified florist. On any given day, you can find Lady Bass using the skills God has given her, hard at work addressing the needs of members and non-members alike: leading out in prayer, encouraging those that need a lift, giving young mothers needed support, assisting the elderly or visiting the sick. She has an enormous capacity for sharing of herself and her means. Blessed with a quiet confidence, she goes about doing good without seeking public recognition.